What a beautiful morning at Taman Desa, this is where my new office at. I was planning to go up hill in Taman Desa to pack my breakfast, and I coming out from a junction. When I just out from the junction my car came to a total halt, thought is the fuel problem but I still have Full tank or petrol. No much choices but to push my car to the side of the road. Try to start again and only can hear the engine starter clunking sound, make few call to my cousin for help and manage to get 1 frequent mechanic to check. When the mechanic arrive he check and found out is the “Timing belt” break and he seem not wanted to do this business. He ask me to find a nearby mechanic and get it repair there, so i said ok then i call up the car insurance company to check whether have free tow service. 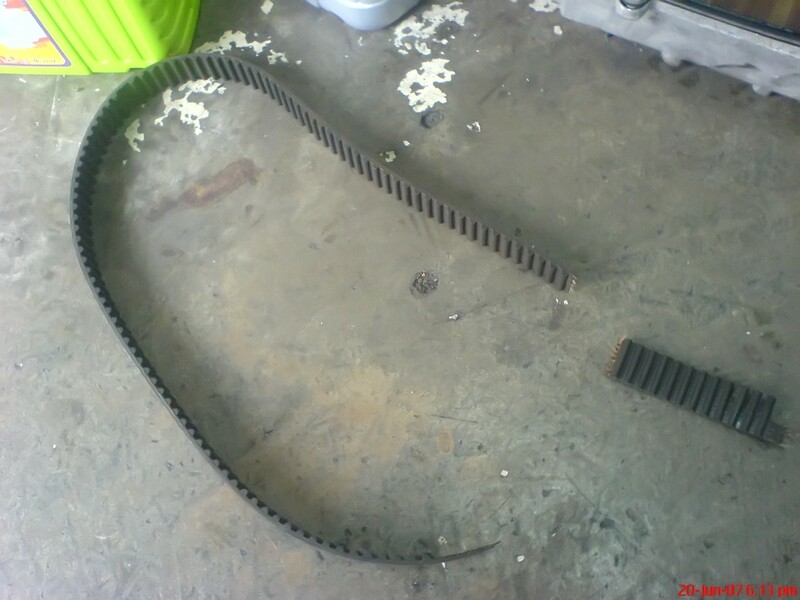 Not bad that the insurance got cover for maximum RM200 for car towing then i tow my car to sunway workshop (Ex-cool) that i frequent service there.Below is the picture of the broken belt. So, when is your car going to on the road again? 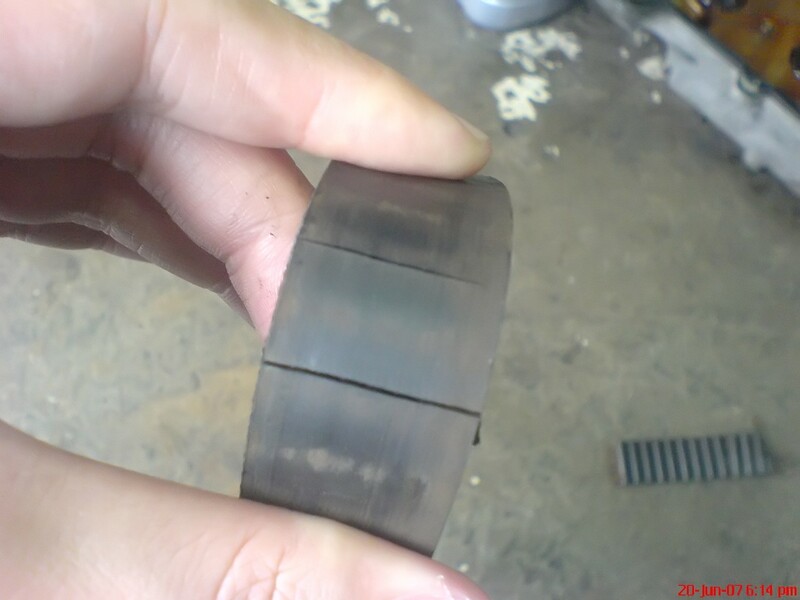 luckily that’s not too bad condition, few valve bent. Didn’t change any valve.